Located in the heart of Indiana and the Midwest, Leman Engineering & Consulting (LEC) is a cohesive team dedicated to meeting your needs. We specialize in designing and building custom generator switchgear and controls for a variety of applications. We have successfully provided solutions for diesel, natural gas, bio mass, prime power, utility parallel, single and multiple units, and more. Situations that require custom generator switchgear should not cause problems. At LEC, we pride ourselves on delivering “drama-free” solutions. We have the industry insight to understand and meet your specific needs and complete your project without hassles. Our customers usually already have enough responsibilities, and therefore, highly value the complete solutions we provide. LEC founder, Randy, took the above picture from the back of his family’s home. 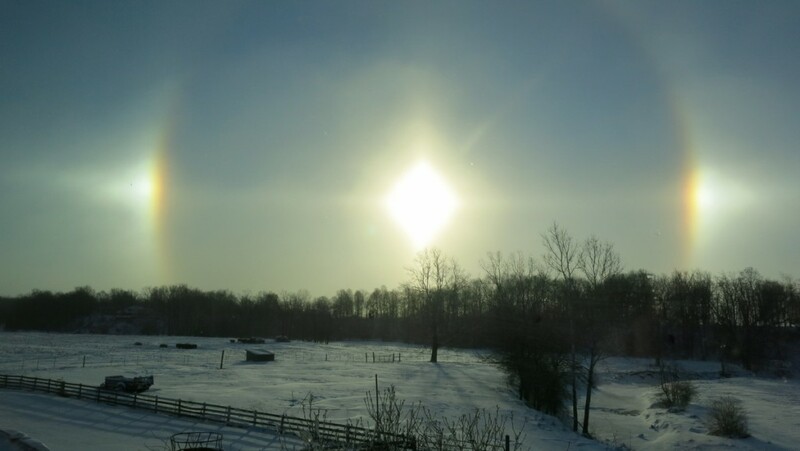 This winter “sundog” is the inspiration for the red cross which is part of the LEC logo. As designers and creators by trade, we marvel at the creation we see all around us. We believe that the stars and the sky proclaim God’s glory to all the earth. We strive to honor this awesome Creator in all we do.